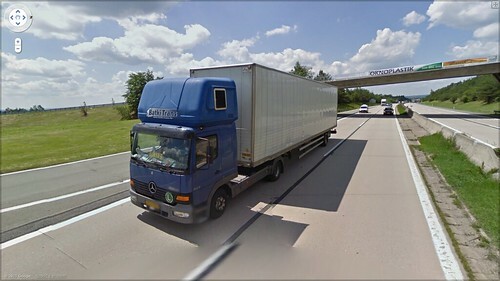 This entry was posted in DAF, International Mega Trucking, Iveco, MAN, Map Finds, Mercedes Benz by truckbloguk. Bookmark the permalink. I have just caught up with your blog, it’s great! I also admire the mini-artics, or more particularly mini- drawbars, which the East Europeans favour so much. In fact, I have just bought an Iveco 120e24 tractor unit which is a real joy although quite a handful. You have probably resolved all the anomalies about the gross weights by now, but in case there are still some points let me share my experience. 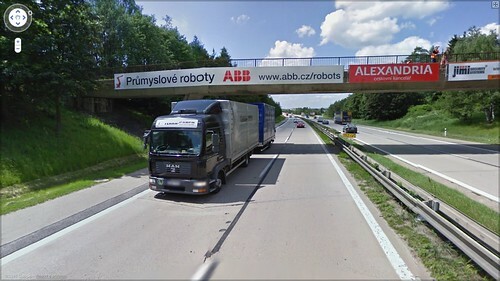 Many rigid trucks, which primarily use the gvw, are capable of pulling a drawbar trailer of around the same weight which gives a gtw (or MAM I think) of around double the gvw. So, a 12 tonne gvw MAN, or Eurocargo, would typically have a gtw of 24 tonnes hence allowing them to pull a 12 t drawbar trailer. Similarly a 7.5 t Actros could have a gtw of 14 t. These ratios do vary depending on horsepower (and hence engine size eg. 4 or 6 cyl) of tje ridgid. It gets interesting when the “ridgids” appear in the form of tractor units. So, in my case, the 120e24 is actually a 12 t gvw truck with. 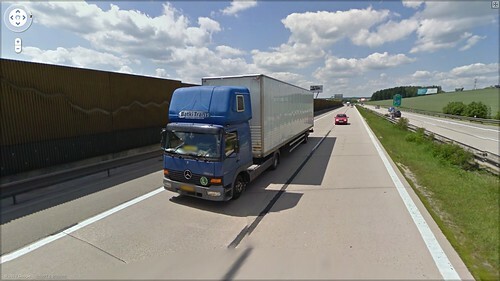 Gtw of some 24 t. As a tractor unit, it retains its 12 t gvw (which is largely academic for a tractor) and more usefully its 24 t gtw – so, if it weighs some 4 t unladen, it can pull a trailer plus payload of some 20 t to bring it to its 24 t gtw. 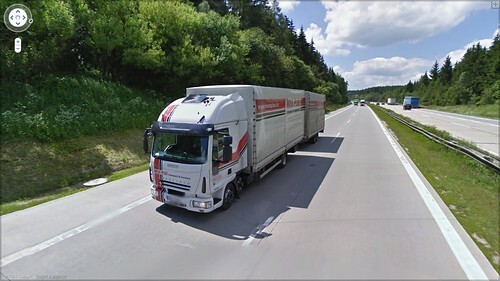 Same with 7.5 t gvw tractors – yes, they are physically small but they might have a gtw of 15 t which means they can pull a trailer and payload of perhaps 13 t. I recently saw a 75 e Eurocargo tractor unit which had a gtw of 11 or 12 t, but this was a 4 cyl 4 litre unit which would have been about 3 t less than had it been a 6 cyl 6 litre variant. All these rigs become class 1 (c+e) in respect of driver licensing unless the gtw is 12 t or less and the trailer weighs no more than the unladen weight of the tractor, in which case they become c1+e. I am not aware of any circumstances where the Gtw is more than double the gvw, so there is no wayva 12 t MAN could ever come in at over 24 t gvw. Gotta say that I am always fascinated by these “small” trucks that pull huge trailers and actually start to weigh in the big league. 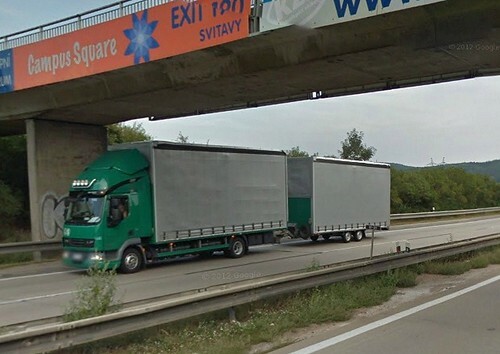 Great blog, great pics and much admiration to the East Europeans who seem to love their trucks and value the “Tonka” varieties.